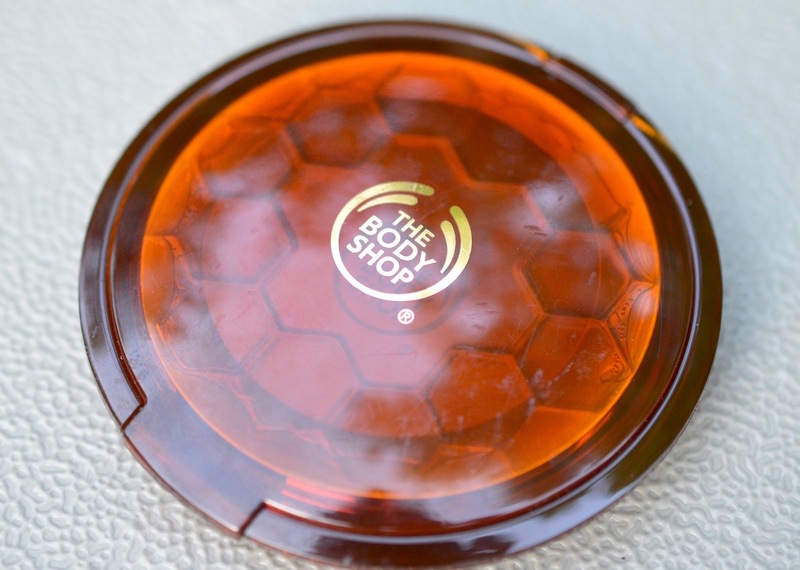 The Honey Bronzer ($22) is a total classic for its wide array of shades to match any skin tone. 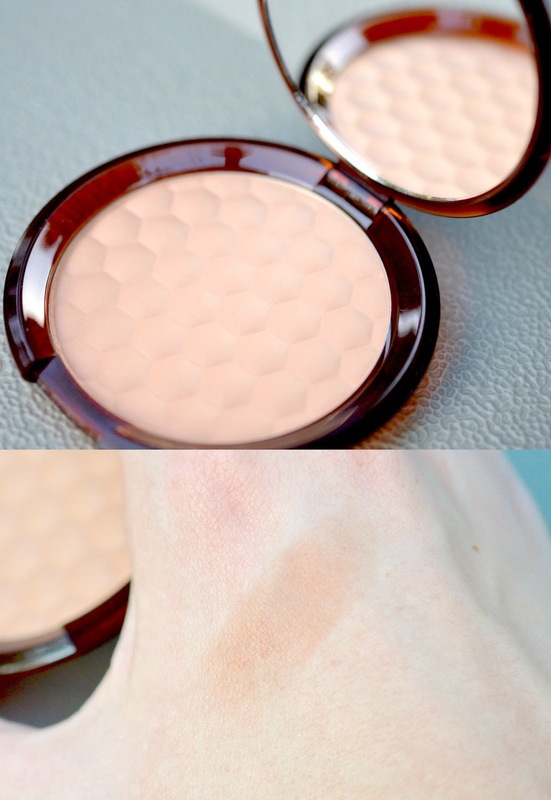 I've been applying this bronzer every day using a kabuki brush that's also from The Body Shop (link!) and I'm definitely not light handed when I apply. This sheer shade (03 Medium Matte) works really well, especially as a setting powder over my Clarins Instant Concealer in 01 or the Smashbox CC Cream in Light. I'll apply it to my outer cheeks, pushing the brush right up into the soft area under my cheekbones, around my forehead, concentrating at the temple, and lightly sweeping over my nose, chin and neck. I'll set the rest of my face with Laura Mercier's pressed mineral powder. 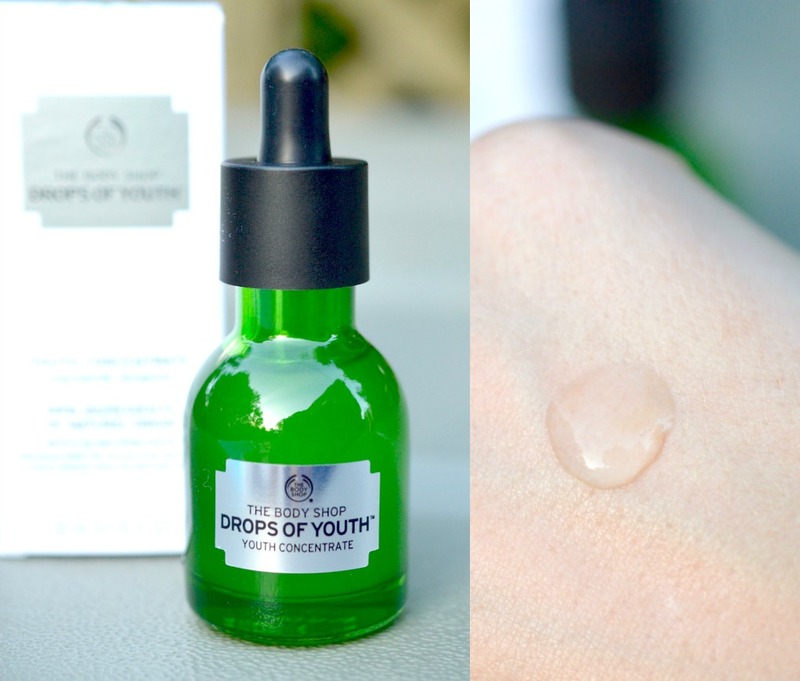 I was so excited to try the Drops of Youth Youth Concentrate ($40) since I'm a big fan of serums. I usually use the Estee Lauder Advanced Night Repair serum ($80), which promises similar "renewing" results. I do find ANR to be very repairing, brightening and plumping, especially on breakouts and sensitive areas. I haven't been using this Youth Concentrate serum for as long as the Estee Lauder one, so it's hard to say if the effects are as impressive. It does work as a very light moisturizer that's suitable for morning and night. The Youth Concentrate provides a unique and luxurious freshness that I enjoy, though it is a bit sticky. The ingredients are pretty normal (water, glycerin, some salicylic acid, fragrance) and it is not tested on animals. Before applying a serum, make sure to remove all makeup, cleanse the skin of dead skin and dirt, then use a toner or essence (like the Drops of Youth one here) to wet the skin and act as a vehicle for the serum to really soak in deep. Apply 3-5 drops of serum using tapping, pressing motions to work it in without tugging. Head to The Body Shop and try out some samples of this Drops of Youth line. 99% of the ingredients in this serum have natural origins, and there are 3 plant stem cells: Edelweiss from the Italian Alps, Sea Holly & Criste Marine from the Brittany coast. These stem cells help your skin thrive and renew itself as they hold one of the "strongest regenerating powers in nature". 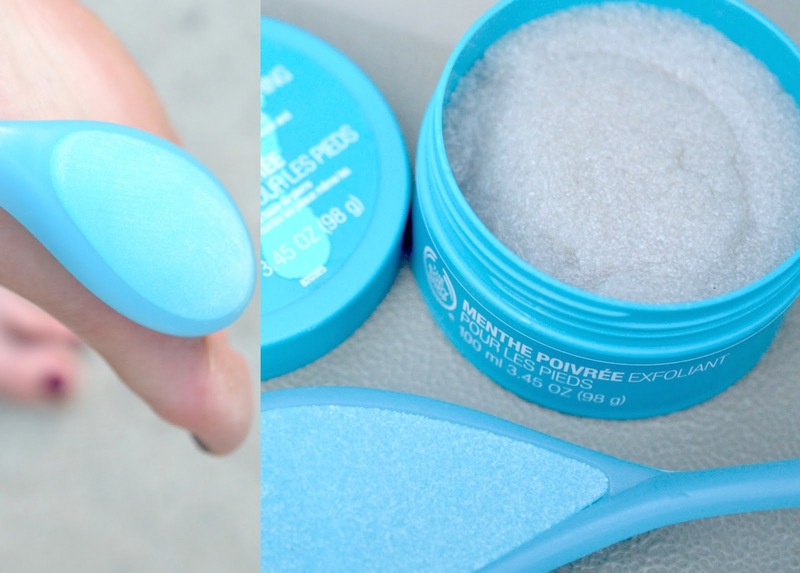 You can expect to see refined pores, smoothed lines and a healthy, luminous, youthful bounce. 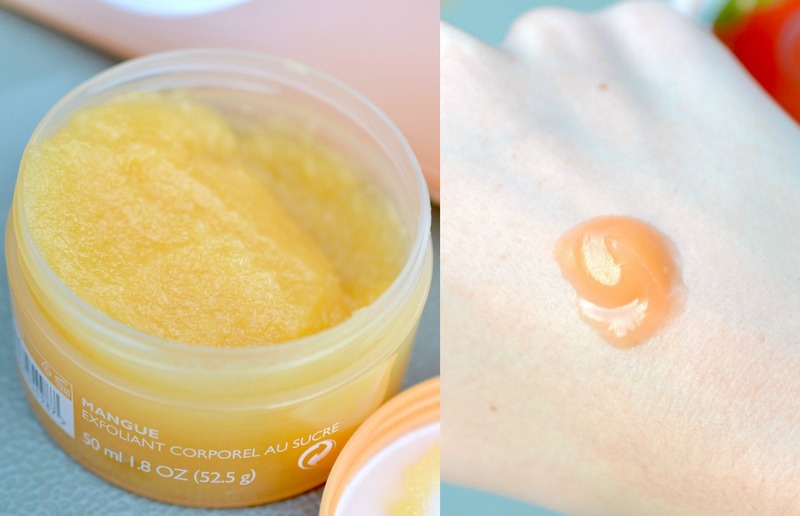 The Mango Sugar Body Scrub ($22 for full size) is made in the UK and has one of the most delicious fragrances in the whole world. It is packed with little scrubby particles of cane sugar and salt, which are effective at softening areas of dry skin. Formulated with Community Trade sugar from Paraguay, this scrub supports a sustainable market built upon traditional and environmentally responsible farming methods. The Community Trade organic soy oil "helps repair skin’s moisture barrier for smooth, supple skin" - and does it ever! I love to use this scrub right before getting into the shower, mixed with a bit of water, or afterwards as it leaves behind a touch of oil. 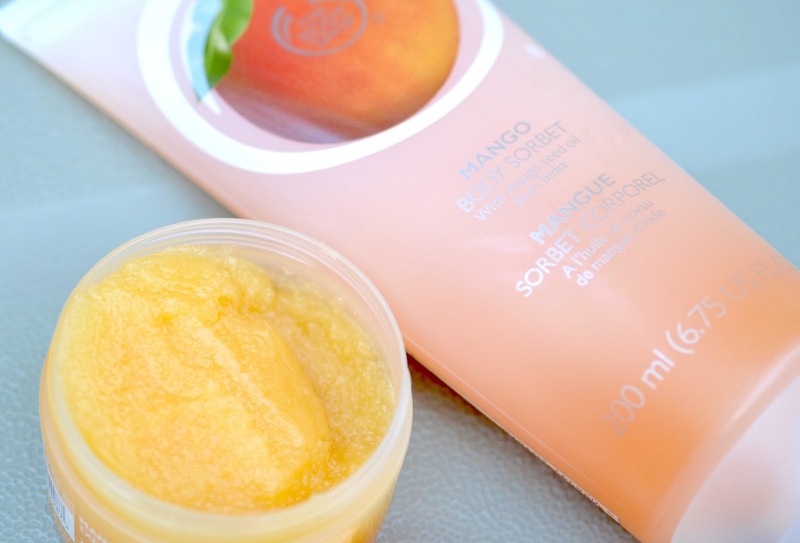 The Mango Body Sorbet ($16) is extremely unique. Also Made in the UK, this refreshing body lotion has a thick, gel or yogurt-y consistency that leaves your skin feeling plump and healthy, not oily. The mango seed oil is from India, and the organic aloe is Community Trade from Guatemala. This large 200 ml tube can be stashed in the fridge for a super refreshing summer fix, especially on the arms and legs when you need a little boost. A great tip - apply some of the foot scrub to the foot file, to really get it into the nooks and crannies without having to use your hands. Hang the foot file in your shower as a reminder to use it every few days. I love shopping at The Body Shop for reliable bath and body products like their exfoliating gloves, loofahs and seasonal items that are sure to please. The Pinita Colada collection is new for this summer, you can see the lineup here. They always run serious promos like 50% off select body products (happening right now) or 50% off makeup, with free shipping over $75. Now get shopping, beauties!